Eien Shoujo is pretty much a solo act that has background dancers so it’s kind of a group. It’s one girl, Kaorori, and her background dancers – on the official Eien Shoujo Ameblo they have four girls listed. She’s performed with more dancers, though. Eien Shoujo made her debut at last year’s Tokyo Idol Festival, so it’s been not quite a year since. In that year she hasn’t done too much, at least not too much that I can see. She does some lives here and there, but not much that makes its way for the internet to see. She does have original songs, but nothing really new since her debut. Still, I think if she keeps at it she does have potential. I do like her songs (Eien Shoujo Philosophy is pretty good) and the limited performance I’ve seen of her I do like; she has some good energy. I think it’s hard to follow her as a foreign fan, just because there isn’t much online, but if you’re actually going to TIF then you might want to check Eien Shoujo out. OK, I’m no going to introduce much of HKT48, because I’m sure most of you who are reading this are aware of their existence – they are the sister group to AKB48 from Fukuoka. Personally, I used to be a much bigger 48 fan than I am now. I still pay vague attention to the groups – I like being a well-rounded idol fan/blogger, and I still like a few of the members in the groups. However, what felt exciting to me in 2010 and 2011 feels almost dated in 2015; it feels like the 48 groups are often just going through the motions with very little innovation. It also doesn’t help that I haven’t enjoyed much of the 48 groups’ music for the past couple of years. Honestly, I don’t think HKT48 is a great fit for TIF. The reason I write about TIF every year is because how it showcases indie and upcoming groups, and HKT is neither of those things. There are a few bigger groups at TIF, but HKT feels almost too big, especially since they’re guaranteed to draw a crowd. HKT48 and the other 48 groups haven’t done much for me lately, which is kind of a shame. I don’t think this is a great fit for TIF, but if you do like HKT48 this could be an opportunity to see them in an interesting setting. While I’m in general a pretty music-centric idol fan (I can’t follow an idol group unless I enjoy the music), Especia is one of the few groups where I feel content JUST following the music, because it’s so interesting. Especia has a really great 80s/early 90s pop sound to them, reclaiming what is now kitschy and uncool in hindsight… and making it cool. I’ve seen it connected to the vaporwave movement, especially with their visual aesthetic in PVs for songs like Kuru ka na and No1 Sweeper, two songs from last year I particularly love. The group even describes their sound on the TIF site as being “80’s POP/AOR/BOOGIE DISCO/FUNK/WEST SIDE MELLOW HIP HOP/JAZZY R&B” which actually works. The point is, Especia is one of the most musically and aesthetically interesting groups out there right now. 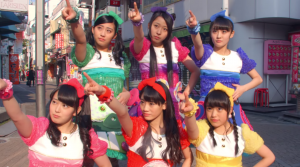 The group was formed in 2012 and features five members (all, while a bit older for idol standards, much too young to remember the era they’re evoking). The group was formed by Tsubasa Records, and I think is pretty extraordinary, given their unusual sound. Also, despite being a smaller group, they do perform with live instruments which is pretty great. While they aren’t super easy to follow on, say, Youtube (it’s been a year since their last PV..) they are more album focused, and luckily part of their new album, Primera, is on American iTunes, so you should definitely check them out. Even if you aren’t super into this music, I’d say you should check Especia out just by virtue of the fact that they are a completely unique and interesting group. If looks are a major factor of you liking an idol group, X21 might be the group for you. Formed in 2012 from finalists of a nationwide beauty contest (the leader of the group was one of the winners); while the group started with 20 members, I believe they moved to just 12 for their CD debut in 2014. In the past I wondered about the musical potential of this group, considering that they are so based upon looks. However, they have made their musical debut at Avex, so that gives them a certain level of polish, whether you care for the music or not. 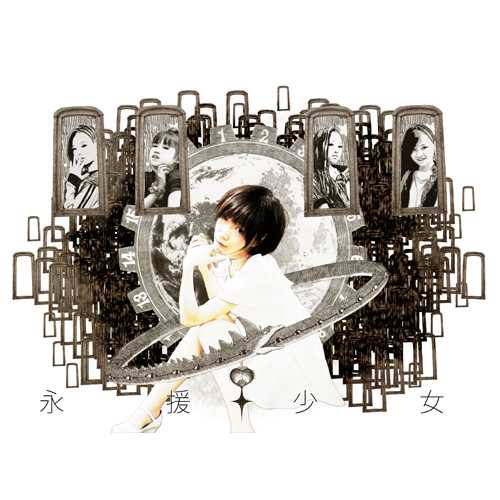 They have so far put out four singles (the latest being X Gift) and one album (Shoujo X). I have to admit, all the members are really gorgeous; looks aren’t the biggest draw for me with idols, but all these members are really pretty. And, while I assume they are working with solid vocal producing talent over at Avex, the members sound great for being chosen for their looks. Musically most of their stuff is pretty uninspiring; not bad but not particularly intriguing. X Gift is a very cute Christmas-themed song, though, and I actually like Shoujo X, a song clearly inspired by the classic Nakamori Akina song. Ultimately if you want looks from your idol group, X21 might be your best bet. Otherwise, they do have a lot of polish which comes from being an Avex group, so that might be another reason to give them a shot. Personally they don’t do too much for me, but my opinion has so drastically improved that I might have to keep more of an eye on X21 in the future. Well, I don’t have to guess where this group comes from! Hailing from Osaka, in their TIF profile they claim that “once you see them you’ll never forget, and you’ll want to see them again.” Well, we’ll see about that! Doing a quick google search of this group, I found two interesting articles about Osaka Shunka Shuto at Pure Idol Heart and at New School Kaidan. The group started out as a dance group that did performances and were discovered and subsequently produced by a videographer and filmmaker, Soezima Shingo. The group got its start through crowdfunding, and, remarkably (as of April 2014) the group has a staff of one – Soezima himself. When he needs help he calls on his friends (who happen to be professionals) but he’s the only permanent staff member for this group. So far they have released a mini album and two singles. Watching the music video for C’mon, their latest single, I have to say I’m impressed by the group. The lead singer has a great voice, all the members are very skilled at dance, and the song is really catchy. The PV is pretty simple, all things considered, but it still has a lot of visually interesting moments and is clearly well made. Going and watching another video for Chameleon Shoujo (off their mini album), these things all seem to be true here. However, one of the more exciting things for us foreign idol fans is that Osaka Shunkashuto is VERY good to foreign fans. Their music is all on American iTunes, they did English versions of some of their songs, and their documentary videos (on Soezima’s youtube channel) have English-language captions. This group is incredibly accessible for non-Japanese speakers and fans outside of Japan. All of these things add up to making Osaka Shunkashuto a very unique group. I really like both C’Mon and Chameleon Shoujo, and I know I’m going to go watch more videos from this group when I have the chance. If you like unique or interesting groups, Osaka Shunkashuto is well worth your time. Glad to see a good response for my first post of this series! With 100 confirmed groups I have a long way to go. I’m sure a lot of you are familiar with UUG, given their Hello!Project ties. 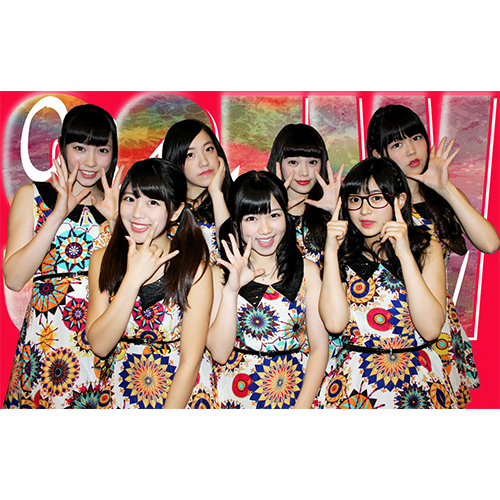 Up Up Girls was formed in 2011 with seven former Hello!Project Egg (trainee) members. While they aren’t part of Hello!Project, they are a part of the Up Front agency which also contains Hello!Project. The group also performs KPop dance covers and has gone to competitions as UFZS. One of the things I’ve always considered a hallmark of Up Up Girls is just how much they do. While their release output has slowed some, in both 2012 and 2013 they put out eight singles per year. Which is kind of insane, considering most groups tend to put out maybe 3 singles a year. In addition, they used to perform weekly at a theater in Akihabara (though they still do perform regularly), they do a lot of livestreaming online. So they are a very active group to follow. I generally think of them as a group that performs more live than anything else BUT they are accessible for international fans. For a while they didn’t make any PVs, but lately they’ve improved on that. 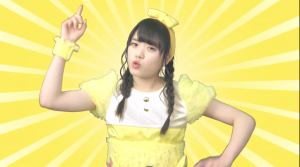 Honestly, while I like the members (Sekine Azusa was my favorite H!P Egg while she was in that program) IMO their biggest issue is inconsistence. I love several of their songs (Samurai Girls, Up Up Typhoon and their recent Bijo no Yajuu) but a lot of their music doesn’t have that same impact. They certainly have a lot of songs, which makes finding something you’ll enjoy easier, but most of their music is kind of forgettable. That said, if you want to follow a very active idol group Up Up Girls might be for you. They have great members and are certainly a fine group, but I think it depends on what you’re looking for. Formerly known as Afilia Saga East, Afilia Saga was formed in 2008. All the members work at the Afilia Group cafes and restaurants, and use a similar gimmick – the restaurants are set in the Afilia Kingdom, which is a “magical kingdom” and the members of Afilia Saga are “Magic Students.” The group currently has 11 members and recently released their latest single, “Never Say Never.” All the members have unusual sounding stage names, too, like Louise Sforzur and Yukafin Doll. I think because of this gimmick I kind of want more from Afilia Saga than I’ll ever get. Never Say Never is a fine song, and actually might be my favorite Afilia Saga song yet. But their music doesn’t ever really utilize the whole “magic user” concept to what I feel is its full potential, which is a shame. Their music is fine (I find most of it uninspiring to be honest) but their videos and music are kind of generic idol-y rather than having that kind of a magical feel to it. It feels like Afilia Saga is wasting its potential there. Even still, Afilia Saga is a fine idol group erring on the side of cutesy/moe. I really like their latest two singles “Never Say Never’ and “Japonesque x Romanesque.” They’re really fun songs, and I might look into this group more. But if you see their gimmick and go in hoping to see that, you might be disappointed. Instead, if you go into Afilia Saga without any of those expectations you might like them. These girls I’m seriously proud of every time I cover them. They started out as Kurikamaki, a DJ unit. Those members, Kurika and Maki started out doing videos in one of their bedrooms. They added another member, Ayumi, and have stayed stable as a group since then – all three girls were friends before forming the group, so that certainly helps. Now they’re doing lots of different live shows and have really gone places as a group, performing at live events like Summer Sonic and Rock in Japan Festival. 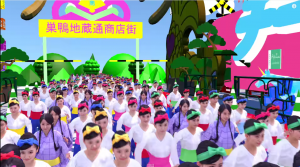 They aren’t terribly active in releasing new music – they put out one music video, Jet Kuma Star last year. While they are saying their upcoming single is their “second single” it looks like they put out one in March of this year. 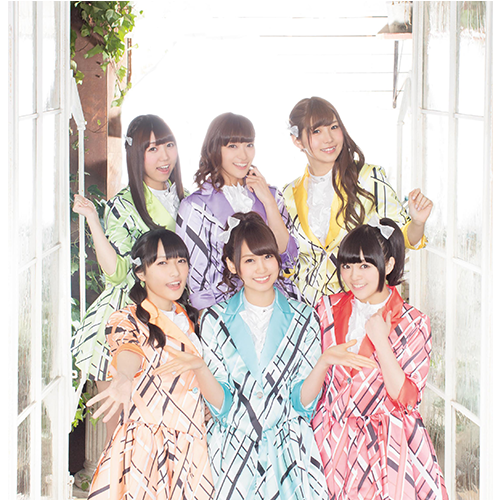 However, their new single “Honey Honey Honey” is coming out on June 24th. Jet Kuma Star is very catchy and addicting, and Honey Honey Honey sounds great too. If you want a unit to follow with a DJ (looking at you, DJ Hikaru fans!) or if you want to see a group that has brought themselves up from zero to a very successful career, Ayumikurikamaki is a great place to look. I’m very fond of them, and wish them even more success! From what is known as “Alice in Project” (No relation to the other Alice Project), AliceinAlice aims to be a theater idol unit. 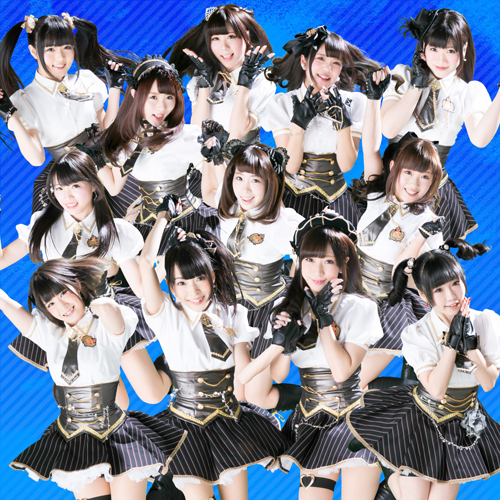 Alice in Project is a theater company, and this is the idol group that aims to add acting to singing and dancing, as well as featuring unique staging because of this. Another interesting tidbit is that the members are generally older – the youngest was born in 1997 and the oldest was born in 1987, which is a bit unusual. They recently put out their third single, Busho Korin Over Again, which they note as being just under eight minutes long (at least, the PV is). When I first profiled them I wasn’t really impressed, but it looks like they’ve upped their game with Busho Korin Over Again – their PV has a really unique look to it, and I like what they’re trying to achieve here. It’s hard to hear the song behind the PV, but it sounds pretty good. These girls’ acting skills do leave something to be desired, but it seems like their production value has gone up a lot. Alice in Alice doesn’t really grab me, but I am glad that they are trying to do something interesting with being a group focused on storytelling and being a theater group. They have improved vastly since I’ve last checked in on them, which I appreciate, so while I’m not entirely convinced they are worth checking out. These girls are great! Ange Reve is one of the groups I’m currently very into, so you know I can give you my recommendation about them. Ange Reve is a five-member unit under ArcJewel, a company that also features Lovely Doll and Doll Elements. The group is still relatively new, but I think has a lot of potential. In April they did their first solo live, and in February they put out their second single, Kiss Me Happy. This group really impresses me; despite being so new, all the members are very self-assured performers, and their live performances are remarkably good for such a new group. I really enjoy both Yuukan na Koi no Serenade and Kiss Me Happy, and so their music has really grabbed me. Ange Reve has really impressed me so far, and I encourage you to check them out. I have very high hopes for these five in the future. I was thinking of skipping TIF this year, but I just can’t. Part of it is that doing these TIF digests, where I look at all the groups Tokyo Idol Festival has to offer, is almost entirely for my own benefit. TIF is a really fantastic overview of the up and coming idol groups out there, and I’ve discovered some of my favorite groups through my coverage – off the top of my head I became a fan of Rhymeberry and RYUTist because of TIF posting (TIF was also the first time I wrote about Team Syachihoko!) It’s also an interesting exercise for the groups I don’t follow on a regular basis, almost like a check-in, to see what they’ve been up to. That said, I only have two months to do this, and I’m a busy person outside Happy Disco, so I’m probably going to try to keep these short and sweet. Idoling!!! has always been a major staple of Tokyo Idol Festival since the very first TIF, so this year is kind of bittersweet. It was announced in February that Idoling!!! will be disbanding in October, so this is the last TIF appearance they’ll make. Formed in 2006, Idoling!!! was formed for Fuji TV, where they have had the same TV show (with the same name as the group) since 2006. Since then, they have had more than 1000 episodes of their show, they have done many collaborations (including one with AKB48) and they have had subgroups and more. At this point I can’t list all the things that Idoling!!! has done, so I urge you to go check out their website or wikipedia page if you’re interested. The point is, Idoling!!! is a major group with a lot of history, and it’s sad to see them go. They haven’t put out a single in 2015 yet, but they’re releasing their new single, “Cheering You” in July. 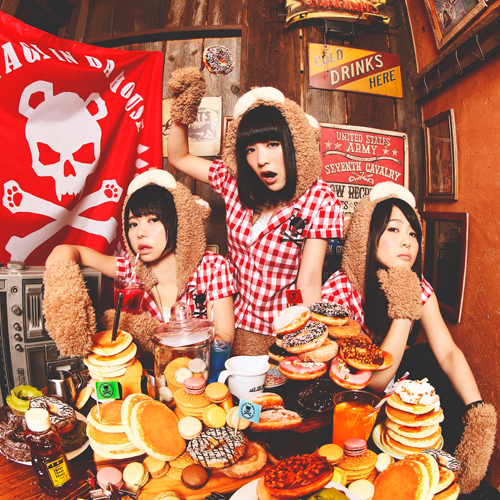 Their most recent single was “Yuki Usagi” which came out in December of 2014. Idoling!!! has always been one of those groups I’ve been aware of but hasn’t caught my interest. I love some of their music, but I’ve never loved enough songs or any of their other output to pay more attention. Still, they are a major idol group, so if you don’t know Idoling!!! you ought to look into them. Idol College has had a long history, but I think they’re hopefully hitting a stride! Originally formed as B.L.T Idol College in 2009 (for the idol magazine), the group was reformed as Idol College in 2010. They made their major debut on the Dreamusic label, but moved to Stand Up! Records last year, and have since released a couple of singles. The group currently has fifteen members, all split into Team I and Team C.
While I still have this image of them doing cutesy stuff because of my past TIF posting, they’ve actually moved into EDM inspired music with their most recent singles, including their upcoming single “#Tokonatsu Joshi Kibou.” While that sound is really oversaturated, I actually really enjoy #Tokunatsu Joshi Kibou a lot. It’s a pretty catchy dance tune, and the PV incorporates some impressive dancing during an extended dance break. While I’ve had a hard time getting into Idol College in the past, mostly due to a lack of significant output and not being the most consistent group with releases, I’m interested to see where they go from here. While dance music is kind of overdone for idol groups, it seems like Idol College has hit something good here. I hope they’ll do well with it! Idol Renaissance is a fairly new group but man I feel like they’ve already made a big impression. Formed only in 2014, Idol Renaissance is a seven member idol group that recently released their third single but first on the T-Palette label, “YOU.” Their aim is to be a “Classic (as in a classic song) renaissance” and they do really have a great classic idol feel, performing all in white and performing multiple covers. Despite being a newer group, Idol Renaissance has a pretty high production value – their PV for “Hatsukoi,” for example, was done in just one take and was really well executed. The reason I would like to follow them more is because everything about “YOU” is utterly charming. The melody and harmonies work really well together, and the PV, where the members read surprise letters from their moms, is really sweet. I love this song and PV, and I want to see where these girls go from here. If you want to follow a pretty new group or if you want to follow a group that has a really classic feel, Idol Renaissance might be for you. I know I want to see where they go. Another group I really ought to follow more! Formed in 2012, anime music is the name of the game for I*Ris – all the members have a role in the anime Pripara, and they’ve done some anime themes. This group is under Avex, and they’re especially notable to me because of just how high the production level is for this group – all the members have solid vocals and their music quality is very high. So if you want a high quality idol group that still manages to be a ton of fun, I*Ris might be up there for you. Honestly, my biggest issue against them is that the two singles I covered for last year’s TIF, Gensoukyoku Wonderland and Itazura Taiyou, were both WAY up my alley, and the singles they have released after that haven’t quite been my thing. However, they are still a really great group, so don’t let my hang ups stop you! Besides, while Make It and Miracle Paradise didn’t grab me, their latest single “Realize” is quite good. Last year, I asked around “Why isn’t everyone talking about I*Ris?” and the question still stands. This is a great group that you should definitely check out if you haven’t yet. 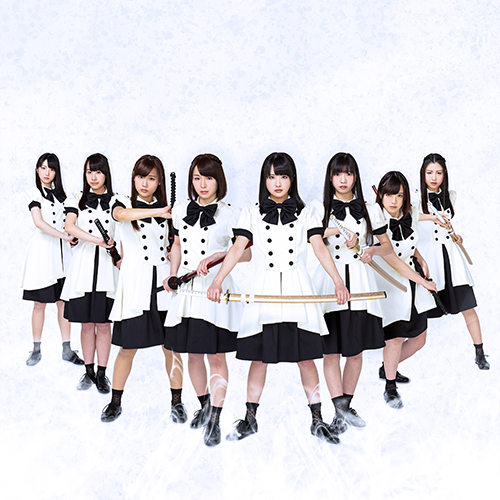 Akishibu Project is an 8-member unit formed in 2012. Their name comes from their goal, which is to form a group that bridges the gap between Akihabara culture (male-centered nerd culture) and Shibuya culture (female-centric fashion culture). While the group has been actively performing for a while (they did a one-man live show earlier this year!) 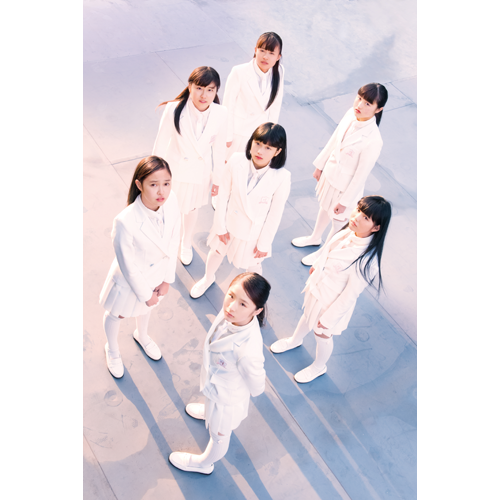 they just released their first physical CD, a mini-album. Maybe I’m missing something, but watching what they have on YouTube, I feel like they really fall closer to Akihabara than Shibuya; their songs and performances seem pretty idol-y. Still, it is kind of appealing that a group would try to do this. Akishibu Project is kind of a hard group to follow internationally – the fact it took years of performing for them to release anything basically shows that. However, if you want a group that’s more fashion-centric and they appeal to you, you should check them out!